Iris reticulata is one of the earliest bulbs to bloom in northern gardens. 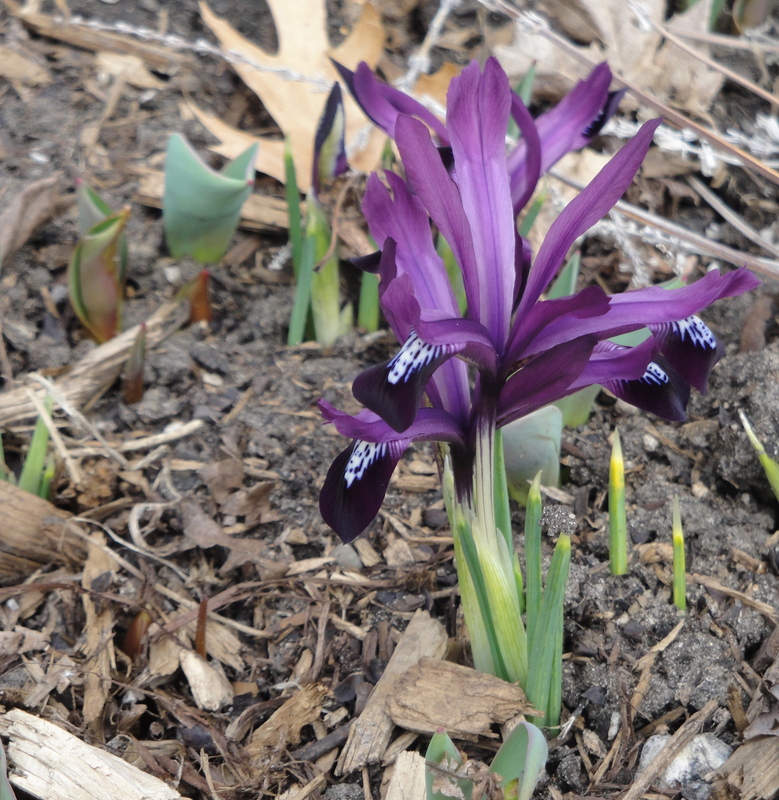 These sweet little Iris reticulata are the second bulb to bloom in my yard this year. They surprised me a couple of days ago because — as has happened before — I forgot I planted them. Like the squill that are also blooming, the plants are small (the iris flowers are disproportionately large) and you have to be standing close to them to notice them at all. For the photo, I was crouched way down on the sidewalk. The crocus I planted last fall have foliage but no blooms yet, though my neighbor who has an impressive bulb display every year has both crocus and diminutive daffodils in bloom. Whatever their size, the blooms are most welcome this time of year. Now, if we could just get some rain….. I meant to plant some of these Iris reticulata last year – they are so sweet! Thanks for the reminder.